I got my Beauty Box 5 in for this month, and boy am I excited. Because this month they have some amazing items! 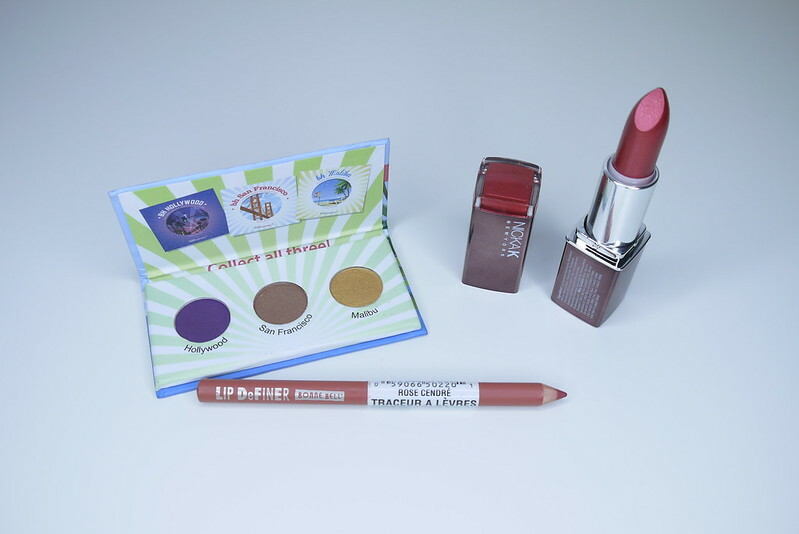 If you haven't read my previous reviews on Beauty Box 5, why don't you? I love how fast their shipping is, and when it comes in, you are always surprised with goodies! BH Cosmetics California Collection Eyeshadow Palette: I love trying out new eyeshadows, and I've never had the chance to try out any of BH cosmetics items before. I'm personally in love with the purple color Hollywood! Nicka K New York Hydro Lipstick: This color reminds me of christmas. No it seriously does. It has small flecks of gold embedded in it, which is probably why I think it reminds me of christmas. But it's a pretty color, and I think I'm going to be getting some wear of this lipstick this upcoming summer! Blum Naturals All Purpose Cleansing Wipes: I love these travel sized wipes. Not only are they great for on the go girls like me, but they also have a little metal chain so you can attach them to your backpack, or your purse! 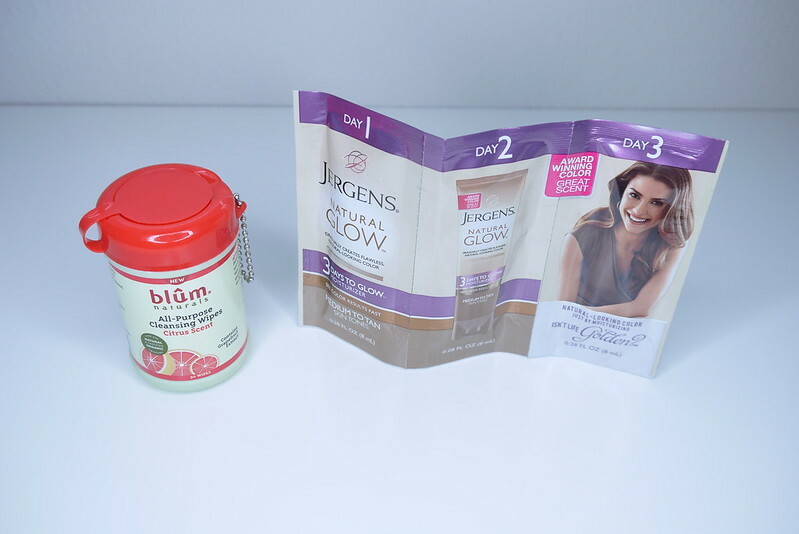 Jergens Natural Glow: I really dislike it when I get tanned on parts of my body while the rest of me stays untanned. I can honestly say that this will be a lifesaver during the summer. I can't wait to try this out, and let you know what my thoughts are on this sunless tanner. Bonne Bell Lip Definer: This lip liner is a rose color, which is good for some of my matte lipsticks. I like lip liners that are creamy, and this one is semi-creamy. The color I got is called Ash Rose. 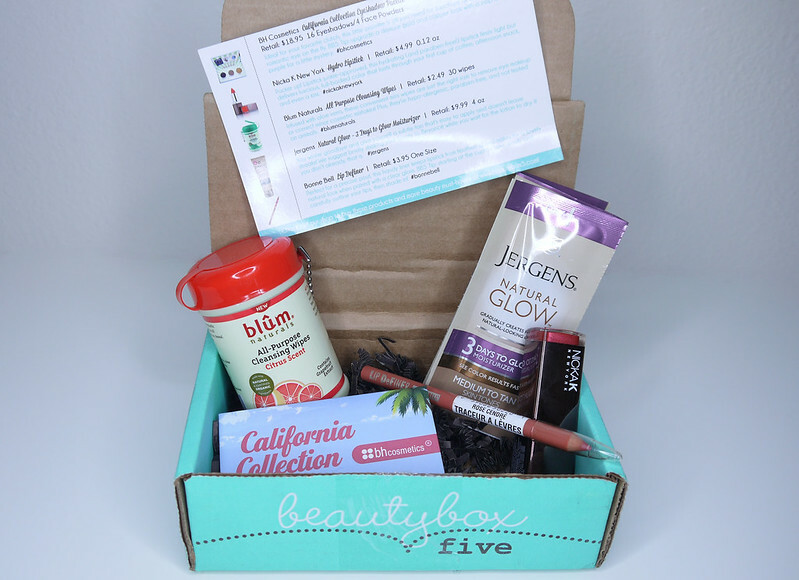 What do you think about the April Beauty Box 5? By the way this subscription service is only $12 a month, and if you get a 3 month subscription it's only $30! And if you are badass and you want to go for the big yearly subscription it ends up being $99 a year! Which is the best deal ever! Ooooh, looks like you got some great products this time! What a fabulous red!! Great items! What a great box! I love that it included the cleansing wipes! It's so cute! BB5 is definitely one of the best in terms of price and items in each box. I would love the wipes too!